Is it what I think it is? 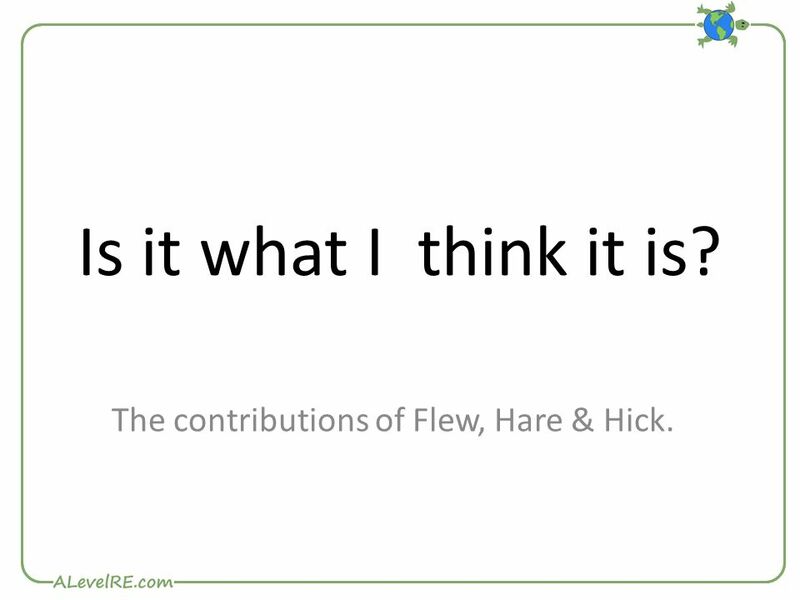 The contributions of Flew, Hare & Hick. 1 Is it what I think it is? The contributions of Flew, Hare & Hick. 9 Proof of God’s existence? 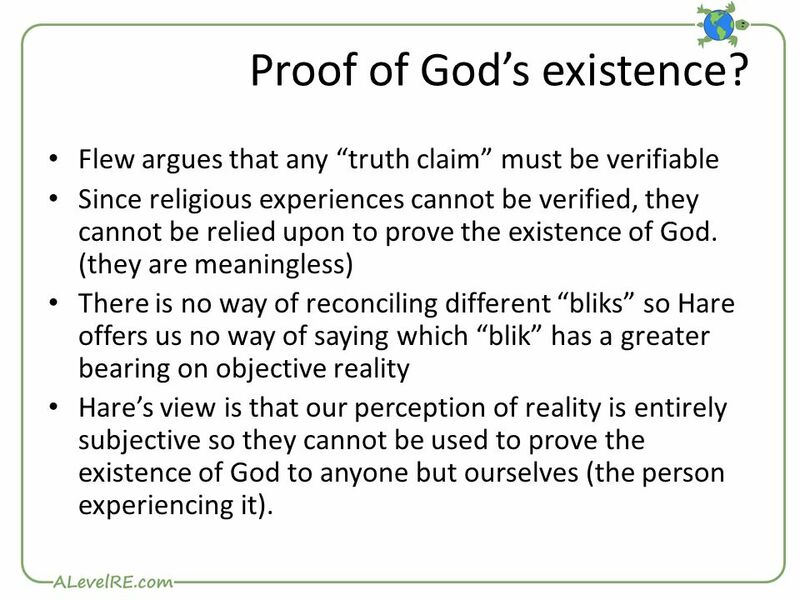 Flew argues that any “truth claim” must be verifiable Since religious experiences cannot be verified, they cannot be relied upon to prove the existence of God. 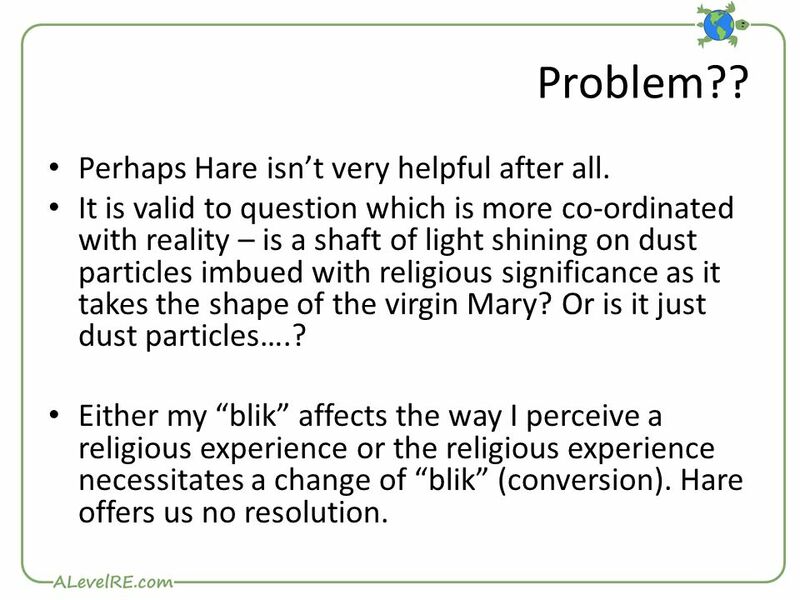 (they are meaningless) There is no way of reconciling different “bliks” so Hare offers us no way of saying which “blik” has a greater bearing on objective reality Hare’s view is that our perception of reality is entirely subjective so they cannot be used to prove the existence of God to anyone but ourselves (the person experiencing it). 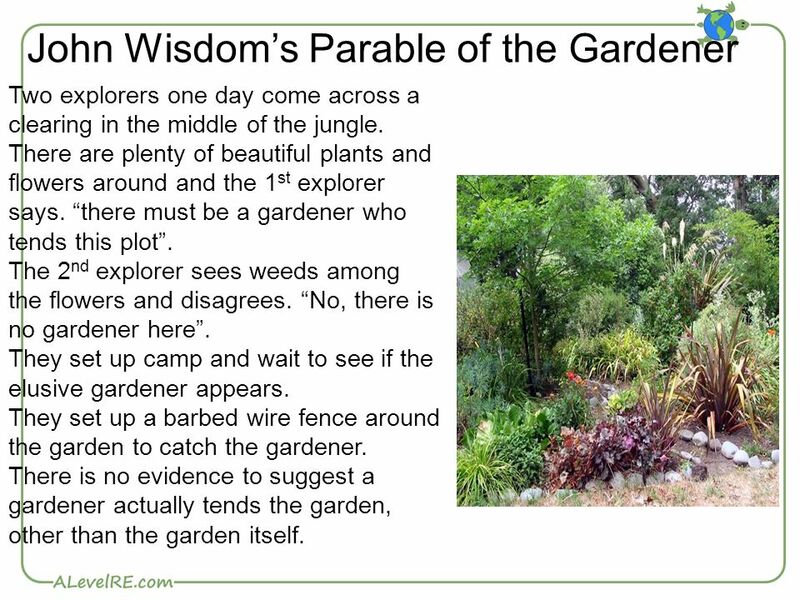 10 John Wisdom’s Parable of the Gardener Two explorers one day come across a clearing in the middle of the jungle. There are plenty of beautiful plants and flowers around and the 1 st explorer says. “there must be a gardener who tends this plot”. The 2 nd explorer sees weeds among the flowers and disagrees. “No, there is no gardener here”. They set up camp and wait to see if the elusive gardener appears. They set up a barbed wire fence around the garden to catch the gardener. There is no evidence to suggest a gardener actually tends the garden, other than the garden itself. 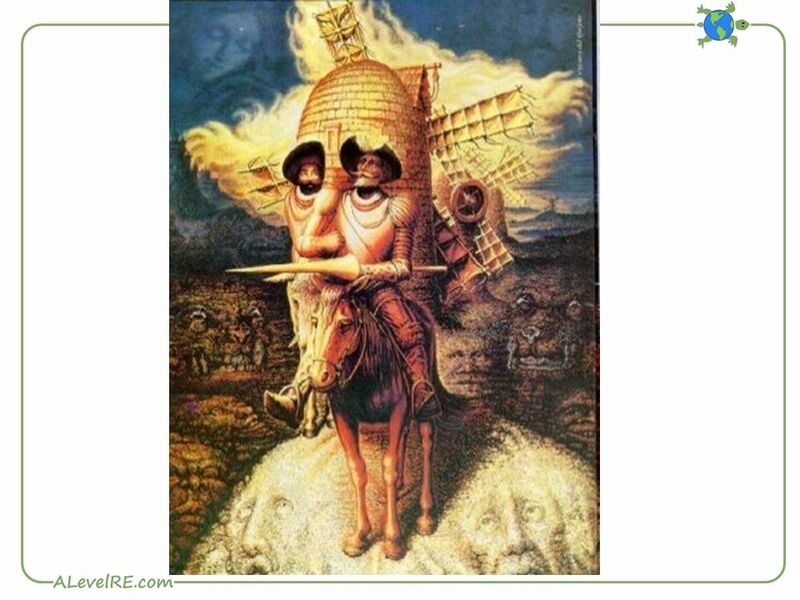 11 John Wisdom’s Parable of the Gardener Is religious experience just about how people see reality? 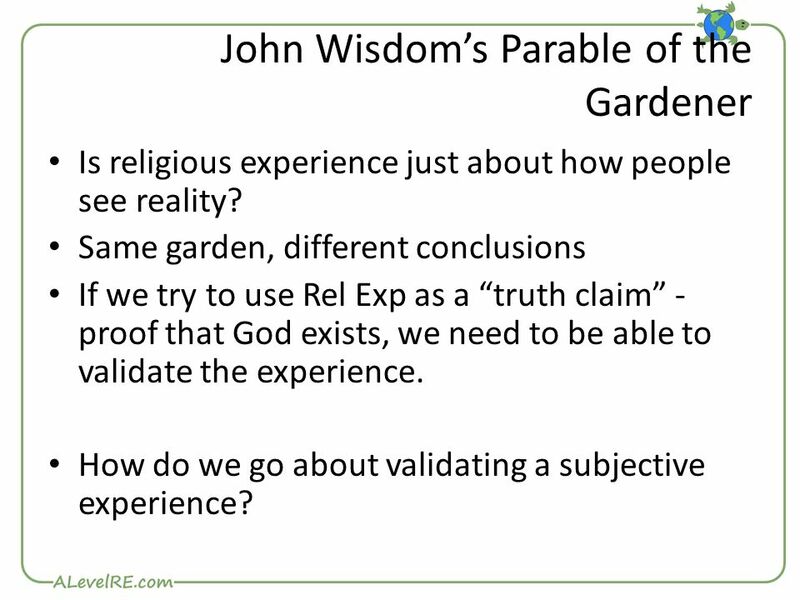 Same garden, different conclusions If we try to use Rel Exp as a “truth claim” - proof that God exists, we need to be able to validate the experience. 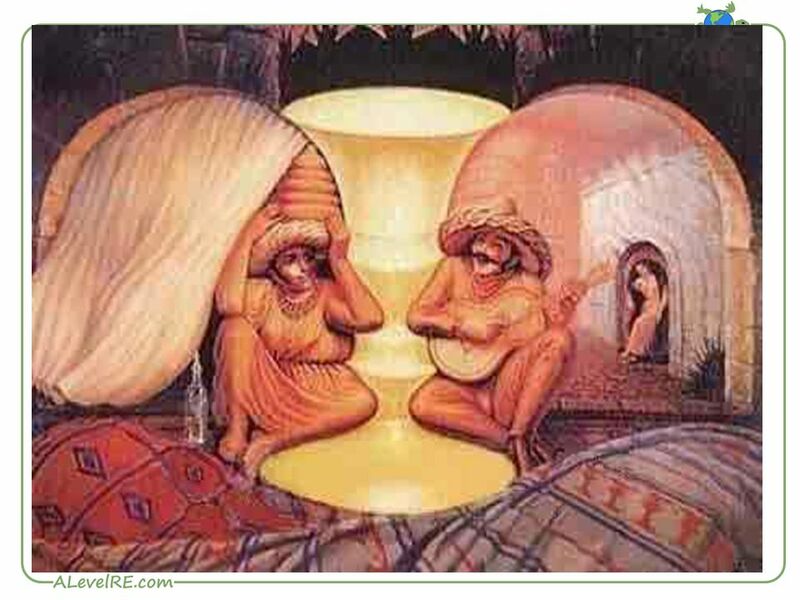 How do we go about validating a subjective experience? 14 For Flew, such talk is totally meaningless. 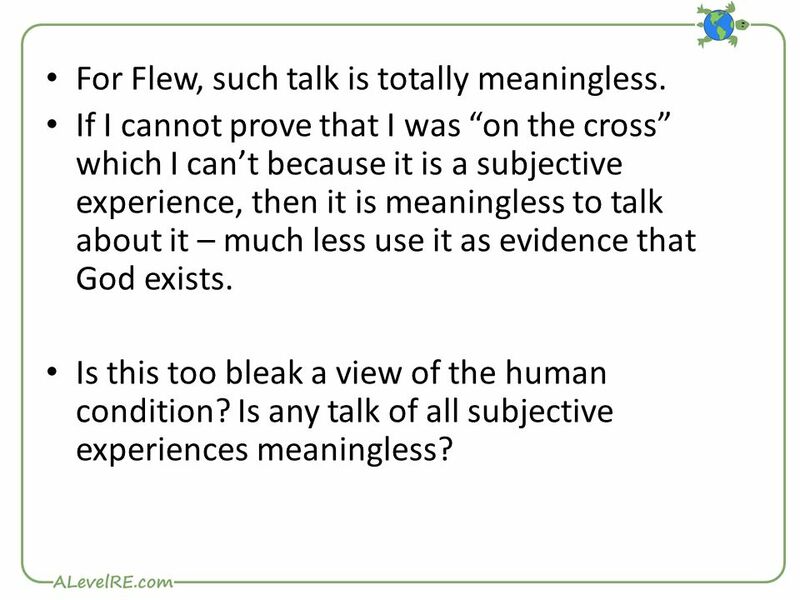 If I cannot prove that I was “on the cross” which I can’t because it is a subjective experience, then it is meaningless to talk about it – much less use it as evidence that God exists. Is this too bleak a view of the human condition? 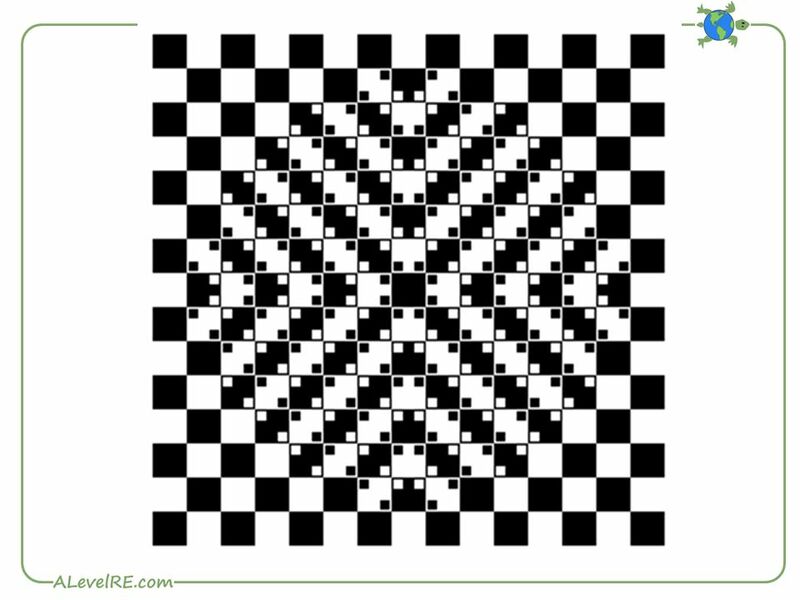 Is any talk of all subjective experiences meaningless? 15 R.M. 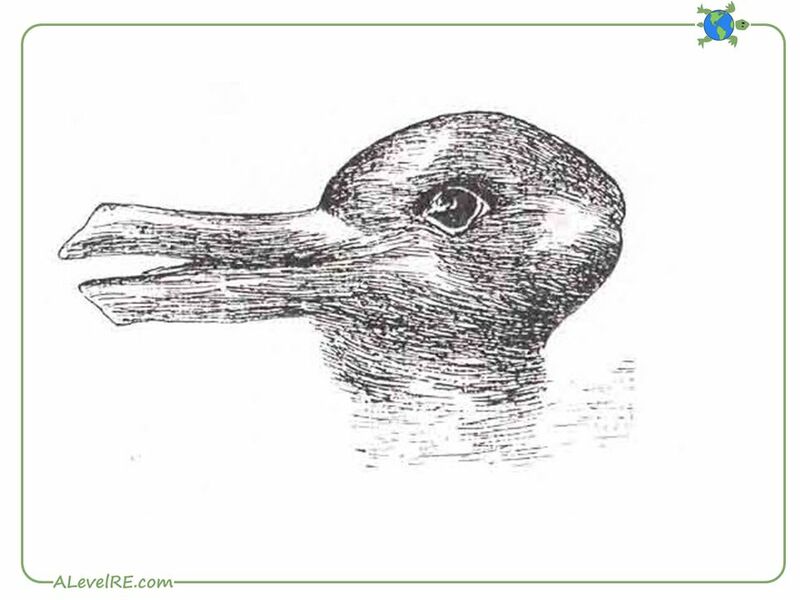 Hare “Blik” = a mind set which determines how we interpret the facts. 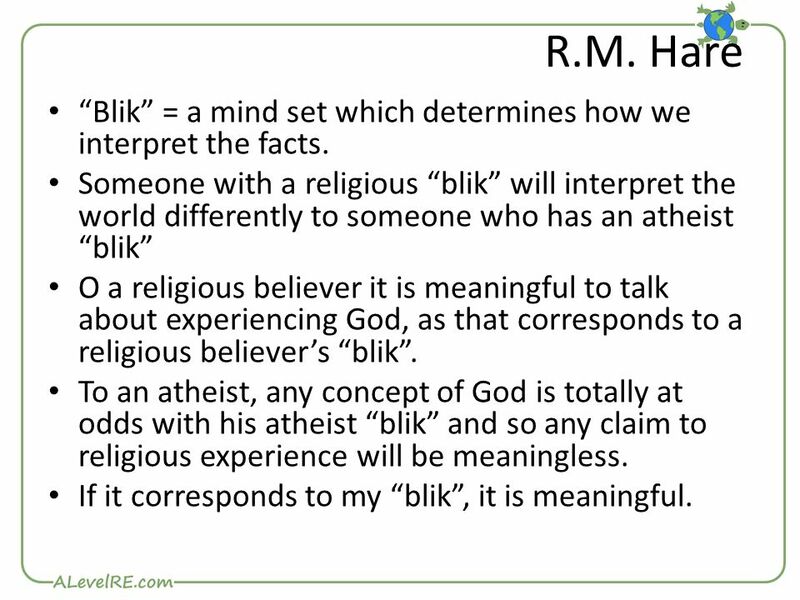 Someone with a religious “blik” will interpret the world differently to someone who has an atheist “blik” O a religious believer it is meaningful to talk about experiencing God, as that corresponds to a religious believer’s “blik”. To an atheist, any concept of God is totally at odds with his atheist “blik” and so any claim to religious experience will be meaningless. If it corresponds to my “blik”, it is meaningful. 16 Problem?? Perhaps Hare isn’t very helpful after all. 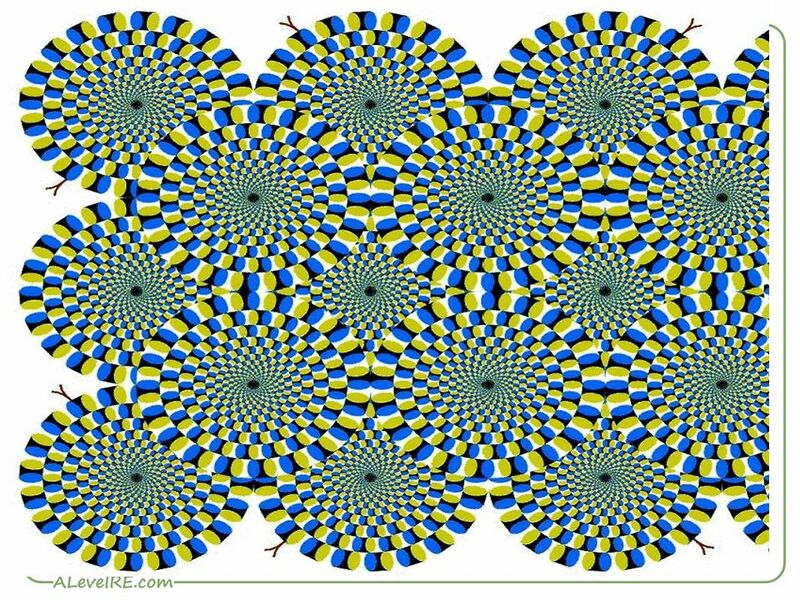 It is valid to question which is more co-ordinated with reality – is a shaft of light shining on dust particles imbued with religious significance as it takes the shape of the virgin Mary? Or is it just dust particles….? Either my “blik” affects the way I perceive a religious experience or the religious experience necessitates a change of “blik” (conversion). Hare offers us no resolution. 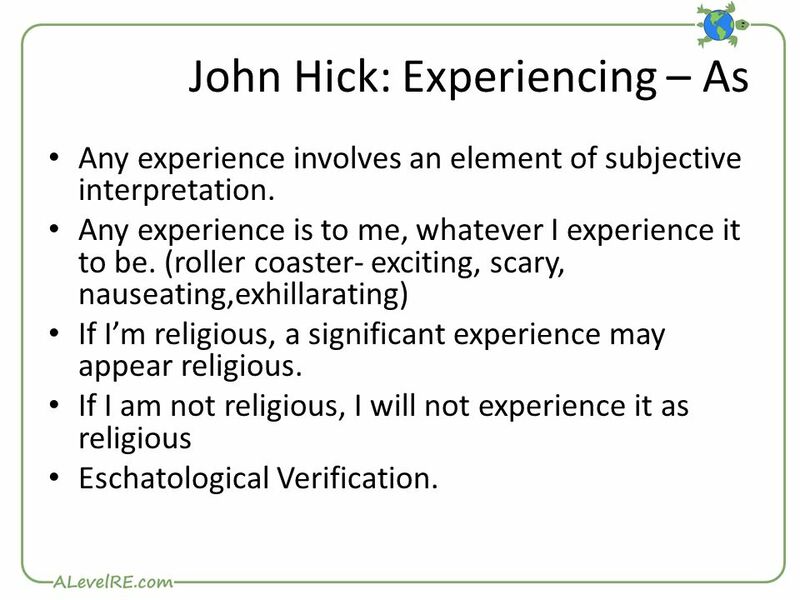 17 John Hick: Experiencing – As Any experience involves an element of subjective interpretation. Any experience is to me, whatever I experience it to be. (roller coaster- exciting, scary, nauseating,exhillarating) If I’m religious, a significant experience may appear religious. If I am not religious, I will not experience it as religious Eschatological Verification. 18 Proof of God’s existence? 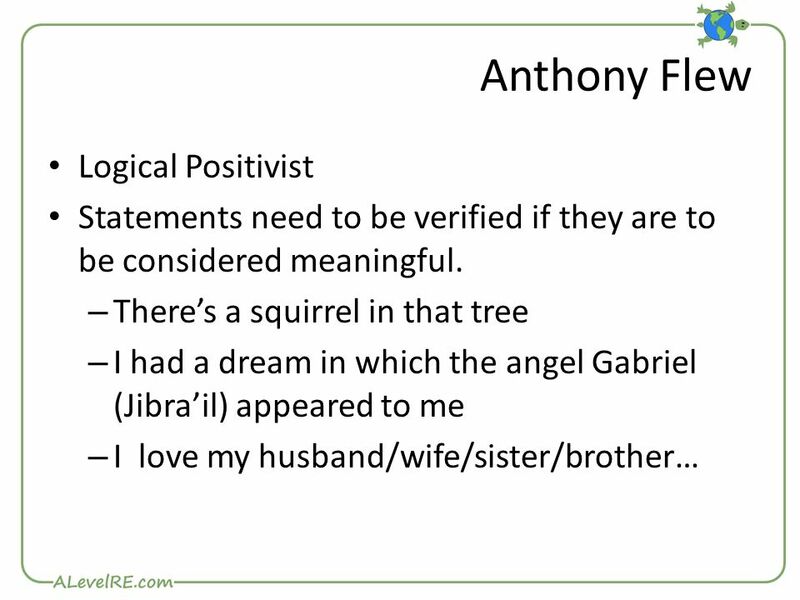 Flew argues that any “truth claim” must be verifiable Since religious experiences cannot be verified, they cannot be relied upon to prove the existence of God. 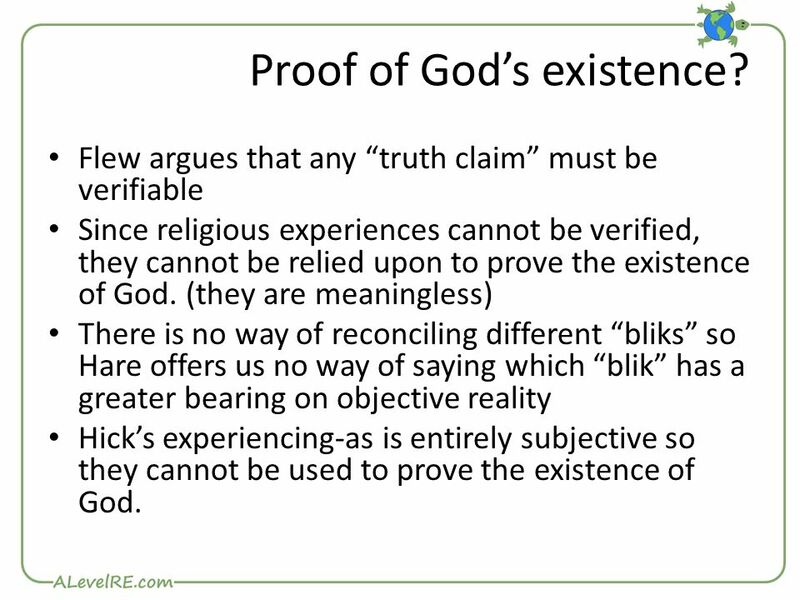 (they are meaningless) There is no way of reconciling different “bliks” so Hare offers us no way of saying which “blik” has a greater bearing on objective reality Hick’s experiencing-as is entirely subjective so they cannot be used to prove the existence of God. 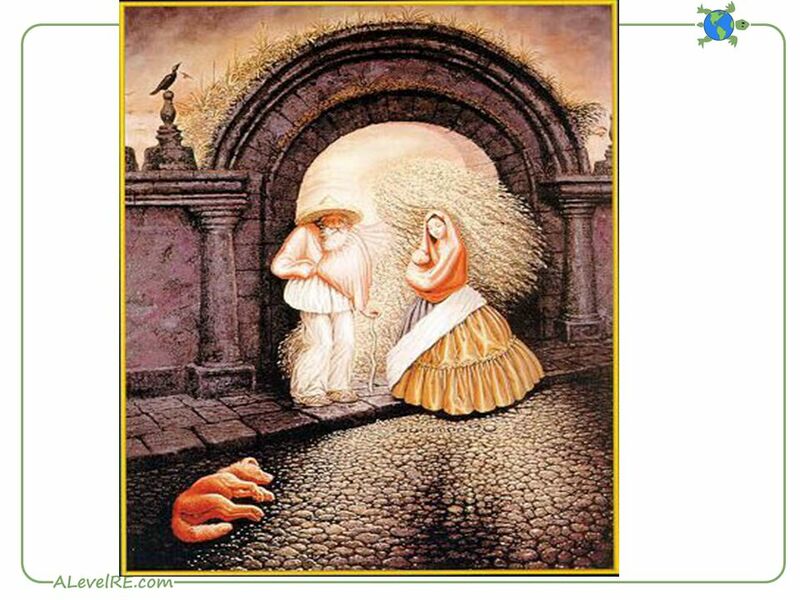 Download ppt "Is it what I think it is? The contributions of Flew, Hare & Hick." 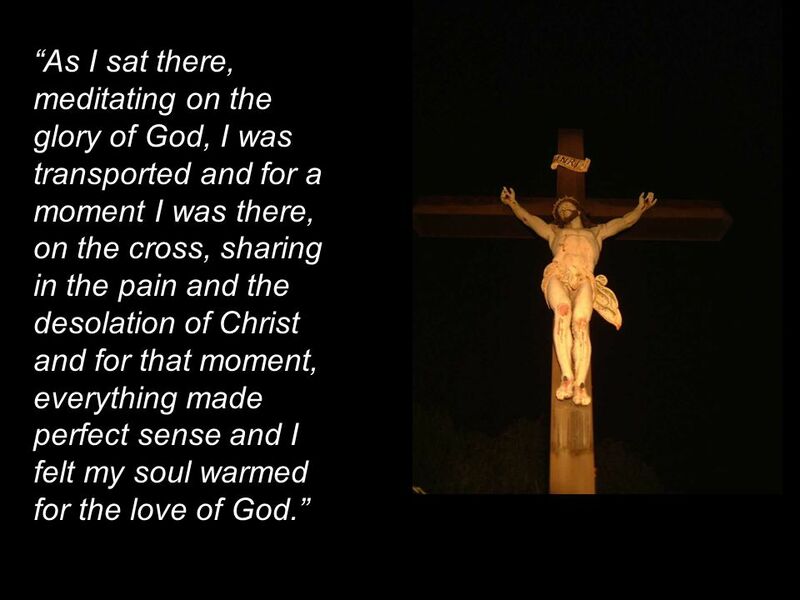 Suffering & Belief Part two. The beauty of the creation… Is it the work of the creator or not? 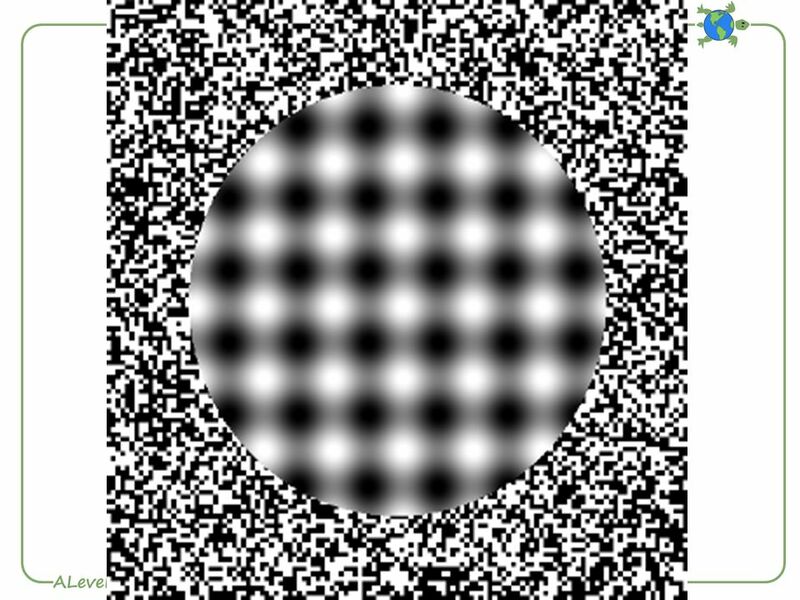 Meditation IV God is not a Deceiver, Truth Criterion & Problem of Error. Spiritual Practices for Busy People © Andre Auger, 2013. February 2009 “If anyone comes to me without hating his father and mother, wife and children, brothers and sisters, and even his own life, he cannot. LO: I will consider the falsification principle’s effect on religious language Hmk: Read Mark Vernon article on ‘The Via Negative’ before tomorrow’s lesson. 1 John 3 16 We know what real love is because Jesus gave up his life for us. So we also ought to give up our lives for our brothers and sisters. 17 If.